Our series Confessions of a SmartWorking Intern started earlier this year when Chloe and Thomas had the idea to talk about their first impressions with Smart Working. 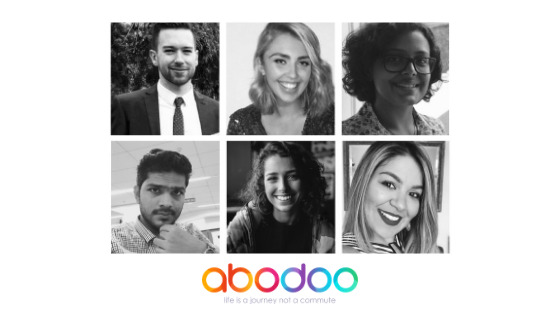 Since then, we weekly welcome our current interns to share their Abodoo journey. We also had Flavia, Shivtej, Vithoria, and Lilian sharing their adventures. We are so proud to see their progress! This diary is very dear to us and one of the most popular posts on our blog. So we did a compilation of every intern diary we had in 2018! Week 1 – The first day of Thomas and Chloe internship diary. Their first experiences to the concept of #SmartWorking. Week 2 – Chloe and Thomas discuss commuting and work-life balance. The team meets in person and Flavia gets on board as the new design intern. Week 3 – Chloe and Thomas talk about their progress in the internship and which new tools they learned how to use. Week 4 – The interns do a snapshot of a typical SmartWorking day. Meet our new design intern Flavia. Week 5 – Chloe talks about a misconception about SmartWorking. Thomas discusses personal x professional development. Flavia smart works from Malta! Week 6 – The interns celebrate long weekends and no more commutes. Flavia also shares her learnings with Abodoo and the challenge with digital programs. Week 7 – How the internship experience exceeded Chloe and Thomas expectations. Flavia tells why she loves Smart Working from Co-Working hubs. Week 8 – Thomas and Chloe’s internship comes to an end. They look back on their experience with Abodoo and ahead to the future in their last diary entries. 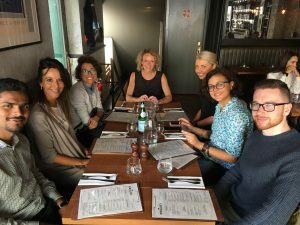 Week 9 – Flavia’s last chapter in her SmartWorking diary. 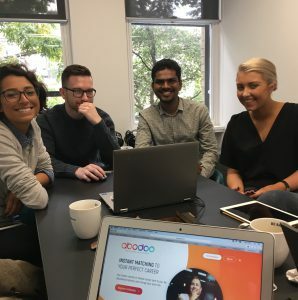 Vithoria and Shivtej join Abodoo team in Marketing and Big Data. They share their first impressions with Smart Working. Week 10 – Vithoria and Shivtej meet Louise in the Co-Working hub for their induction. The two also speak about time management when Smart Working. Week 11 – Our two interns are excited and working on a new campaign. 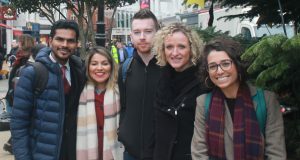 Shivtej is selected to the Young Entrepreneur Ireland program. 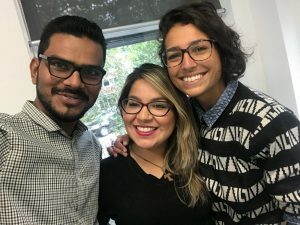 Week 12 – Shivtej and Vithoria welcome our new Marketing intern Lilian. Vithoria starts a new blog series about Diversity. Shivtej celebrates an Indian Festival in Dublin. Week 13 – Shivtej and Vithoria talk about challenges and accomplishments when Smart Working. Lilian explains a bit more about her new role in Abodoo. 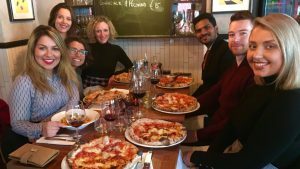 Week 14 – Vithoria shares her adventures Smart Working from Portugal. Shivtej is nearly finished with his thesis. Lilian researches Co-Working hubs around Ireland. Week 15 The fab trio are buzzed with the results going on for Abodoo. Vithoria interviews Miriam O’Sullivan and learns about Neurodiversity. 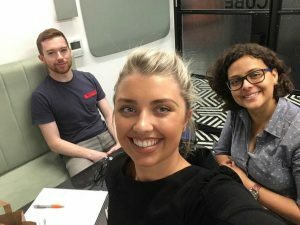 Week 16 – Shivtej and Vithoria have a good catch up in the Co-Working space with Louise. Shivtej does the Howth cliff walk. Lilian prospects hubs in the UK. Week 17 – Time savings, avoid the commute and Smart Working on rainy days. Lilian takes a short trip to Wales. Week 18 – Vithoria discusses working spaces. Shivtej says the word on flexibility. Lilian does a presentation about Smart Working. The ideas for Christmas start to pop up. Week 19 – Our interns are busy planning the new Christmas series. Shivtej answers questions about Smart Working. Lilian overcomes a challenge in her internship. Week 20 – The Christmas Spirit arrives in Abodoo. Chloe and Thomas joins with Abodoo team for a catch-up and a delicious Christmas lunch.